Influenza, also known as the flu, can be caused by three types of upper respiratory viruses: Influenza A, B and C.
This is the most complicated of the flus because it has more than 30 known subtypes that can infect animals as well as humans. 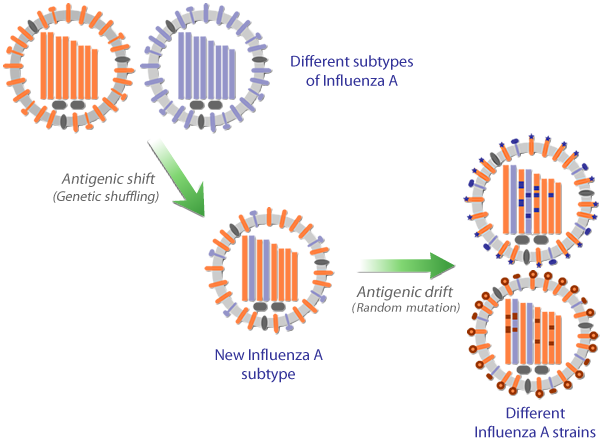 Currently, only two of these subtypes circulate the human population, however, because subtypes are constantly undergoing small genetic changes, Influenza A has the potential to lead to worldwide outbreaks known as pandemics. One of the Influenza A subtypes transmissible to humans is H1N1, the flu you likely remember as "swine flu". In 2009, an epidemic of swine flu affected large portions of the United States. Epidemics like these occur when flu subtypes undergo unpredictable mutations. The most common Influenza A virus known today is subtype H3N2. If you've had the flu recently, it's highly likely that H3N2 was to blame. 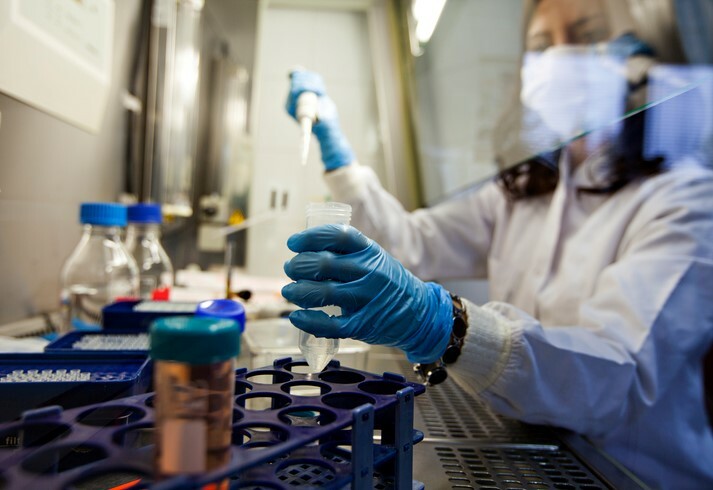 The Centers for Disease Control carefully monitor these small genetic changes in viruses across the globe, constantly keeping an eye out for any indication that a mutation we don't already know about has occurred. The Influenza B virus is just as capable of making you sick, but with no subtypes to account for, this flu is much more predictable. 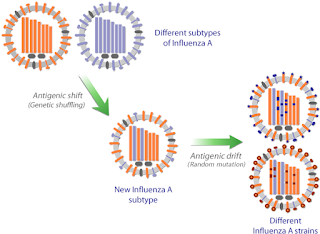 Influenza B also undergoes small genetic changes responsible for various "strains" of the virus, however, because Influenza B only affects humans and mutates at a rate two to three times slower than Influenza A, it cannot result in a pandemic. 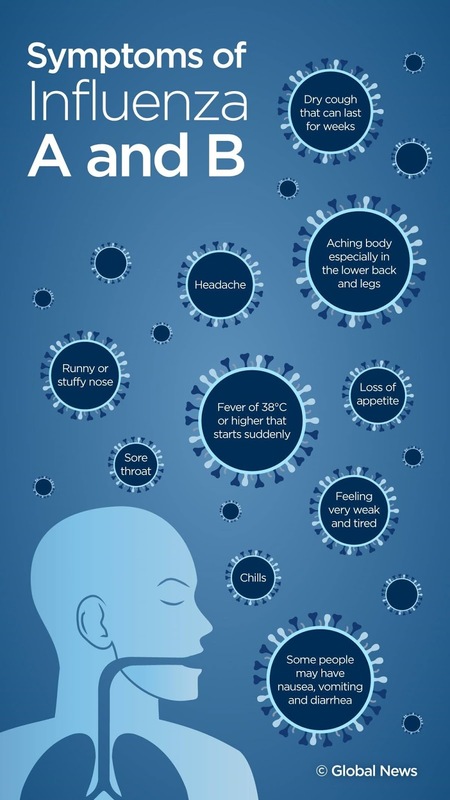 Influenza C is an extremely mild version of the flu. 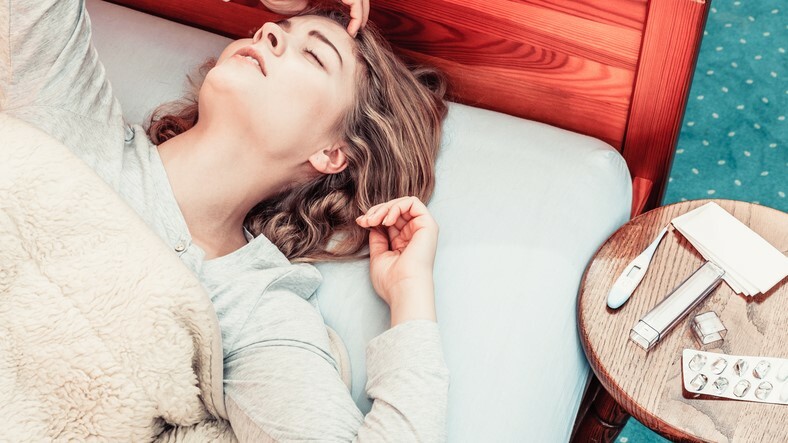 This type of flu has never been responsible for an epidemic and could easily be mistaken for a nasty cold. The flu is most commonly associated with muscle aches, coughing and fever. Other flu symptoms include chest tightness, congestion, sneezing, headache, fatigue, sore throat and shortness of breath. Although some people experience intestinal discomfort or vomiting while sick with the flu, there is no such thing as a "stomach flu" or "stomach virus". Similarly, any flu-like symptoms lasting only 12-24 hours are not the flu. The flu will last one week or longer once symptoms begin to show. However, you're contagious up to two days prior to any symptoms. The flu is transmitted easily in water droplets from coughs, sneezes and even talking. You can catch the flu from doorknobs, handshakes, and being confined with others in indoor spaces. Because the flu is highly contagious and can be transmitted before symptoms occur, it's important to take extra precaution during flu season, which generally lasts from October to January. The CDC recommends being vaccinated against the flu no later than October, and earlier if a vaccine is available. However, it’s never too late to get the flu shot. The current 2017/2018 flu vaccine is designed to protect against the three most common flus: H1N1, H3N2 and Influenza Type B. The CDC currently does not recommend nasal vaccinations as these have not been as effective in the past. predict the flu strains of the coming season. Twice a year, the centers collaborate to select the strains to grow for vaccination. Flu vaccines develop antibodies that keep you protected should a flu virus find you, but they do not contain a live virus and therefore cannot make you ill. Since the seasonal flu originates in Southeast Asia, scientists can predict the efficacy of flu vaccinations based on the types of strains most commonly seen there. Once a virus has been isolated, it is grown inside of a chicken egg. People with chicken egg allergies are not candidates for the traditional flu vaccine but can use Flublok, which is not grown in this manner. Once the flu shot has been administered, it takes about 2 weeks for your body to form the antibodies it will need to protect you. Why do I need to be vaccinated yearly? The small genetic changes, also known as antigenic drift, that occur in the flu virus, make you susceptible to the flu every season. Although these strains are very similar, last year's vaccine cannot protect you from this year's flus. Who isn't a candidate for the flu shot? Some individuals are at higher risk for complications from the flu. Because influenza are upper respiratory illnesses, persons with asthma, heart disease, bronchitis or emphysema should be watched closely. Additionally, babies younger than two years old and those older than 65 are considered high-risk individuals. A weakened immune system due to illness or cancer treatments also poses a risk for additional complications. Pregnant women or those who have recently given birth should consider themselves at higher risk, and should see a doctor if they suspect the flu. You could visit this article for some advice on how to write interesting argumentative essay. Everyone else is already using it.